Common street thieves, biker gangs, a loose piece in your fave cobblestone path; Ebola, ISIS, dark alleyways all over the place. The world is a dangerous place. And it would bode well for all of us to take extra precautions. Like masks. Masks are a good start and they conceal your identity (sort of) and they look sleek as anything else. 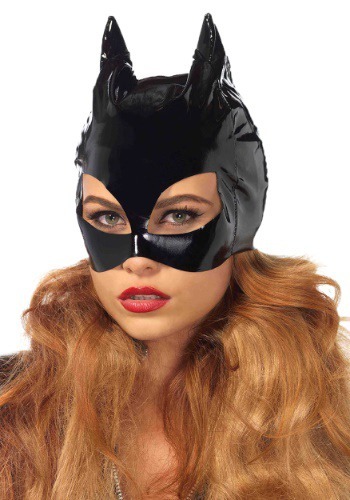 You should take extra precautions if you're, say, a femme fatale antihero on Batman and Robin's naughty list. The good news is you can easily keep a low profile in this vinyl cat mask. The black, glossy mask is a great accessory for being on the prowl—in a dark alleyway or at your favorite pub. And if anyone asks why you're wearing a mask, a soft scratch with your claws will do the trick.